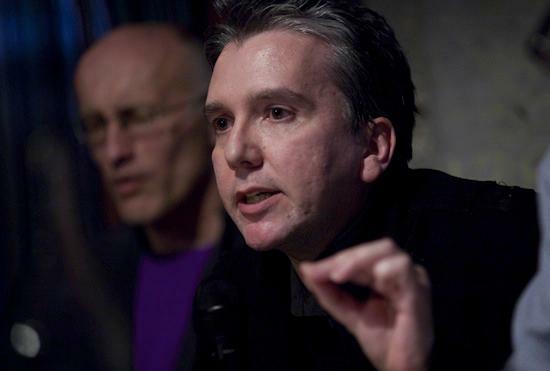 We are deeply saddened to hear that the theorist Mark Fisher died yesterday. Mark, who was born in 1968, was the writer responsible for the critically lauded and influential K-Punk blog and came to international prominence with his debut title for Zer0 books (where he also worked as a commissioning editor), Capitalist Realism: Is There No Alternative? (2009), which picked up such varied fans as Slavoj Žižek, Sarah Amsler and Russell Brand. Mark wrote eloquently about his struggles with mental illness (as well as such other subjects as Joy Division and drum & bass) in Ghosts Of My Life: Writings On Depression, Hauntology And Lost Futures; he was a contributor to such publications as The WIRE and Sight & Sound as well as being a lecturer in the Department of Visual Cultures at Goldsmiths. His latest book (for Repeater) The Weird And The Eerie was published just two weeks ago. Our thoughts are with Mark's family, friends and colleagues.